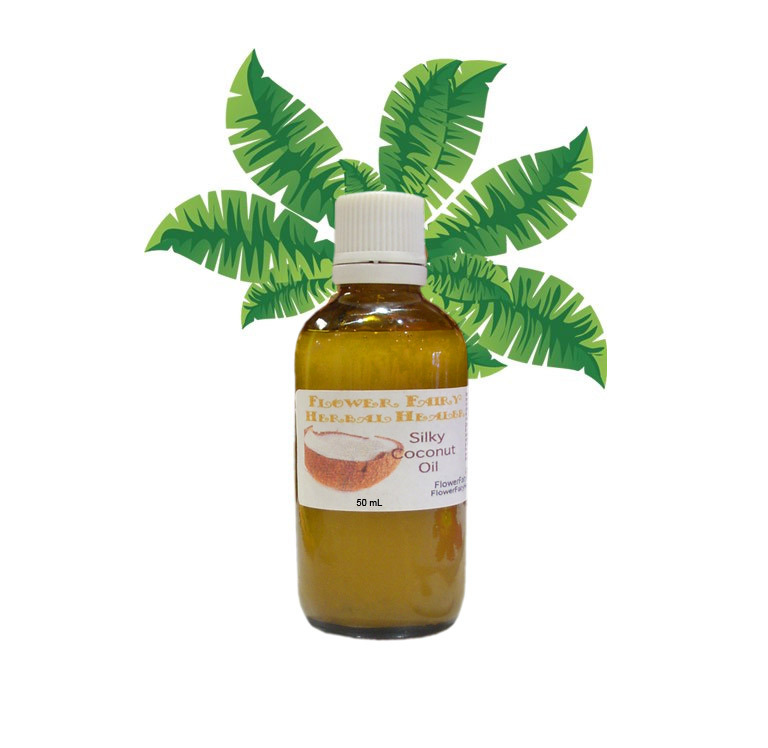 ﻿Directions: Exotic, sweetly scented & nourishing oil to make hair/skin silky soft, smooth & vibrant. Use as a hair-oil, a body oil or rich massage & moisturizer oil. To protect, nourish, soften/moisturize. Natural way to soften skin and hair. Increase the hair shine/smoothness naturally. Highly refined coconut ingredients are commonly used, & can be found in expensive hair-smoothing products. Directions: Use warmed or in it's liquid form on skin or hair to moisturize & protect. It helps make skin and hair silky. All you will need to use is just a small amout in between hands and rub on wet/dry hair to increase hair’s shine & smoothness naturally and to help with fly away or frizzy-hair. For extra hair conditioning use a larger amount over night and shampoo out the next day. If it is in a cold environment it may need to be run under warm water to reliquidify. To extend shelf life store in fridge. Ingredients: 100% organic, expeller cold-pressed, extra virgin coconut oil (solvent, chemical, pesticide & herbicide free), fare trade, made from hand selected fresh coconuts from the Philippine Isles of Quezon. Cold-pressed sunflower seed oil & natural vitamin E oil & natural coconut fragrance﻿.